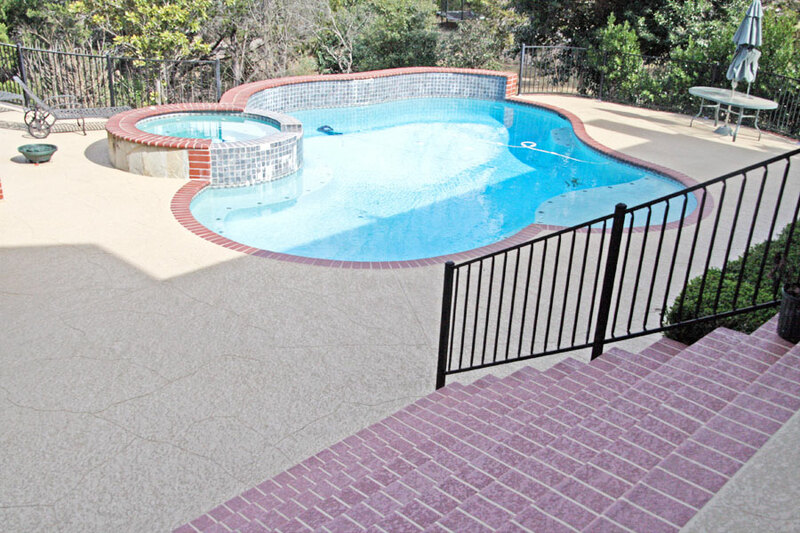 Sundek coatings are an ideal way to rejuvenate your pool. patio and stairs around your property. Check out this project where we created a clean, new surface and pool coping edge to match the decorative brick pattern on the stairs leading to the pool.